A visit to the dentist's office isn't just about checking for cavities anymore; there have been incredible advancements in the field of dentistry, and we have responded by expanding our range of custom dental care to suit your needs. In addition to our general dentistry services, we also offer a wide array of cosmetic dental procedures such as implants and teeth whitening. The smile is our window to the world, and it's the first thing that makes an impression on people we meet; it's no wonder that more and more people are turning to cosmetic dentistry for corrective procedures and aesthetic enhancement. So whether you want to fill a cavity or get a complete dental makeover, we can help you achieve the smile you deserve. We are dedicated to providing the highest standard of quality in all dental procedures to ensure our patients complete satisfaction. Using state-of-the-art dental technology, we help patients improve their smiles every day, and we want to do the same for you. For more information or to schedule an appointment for a free consultation, please call us today. If you need to see a dentist in Saratoga Springs, Glenn Park DDS PLLC is an excellent choice. 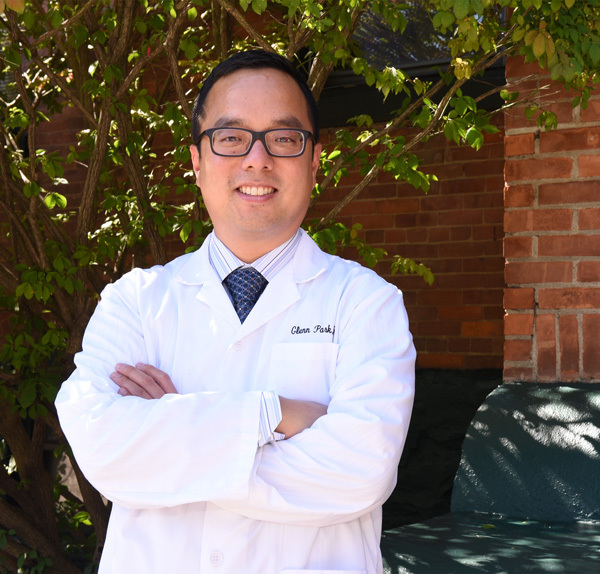 Dr. Park and his team have the experience and dedication to service that makes our clinic one of the most reputable in the Saratoga Springs area. We know that advances in dentistry are happening all the time – and we keep up with them; adding new, innovative treatments and procedures all the time. Call us today for more information. It used to be that we went to the dentist for check-ups or fillings, and sometimes to get those unsightly metal braces on our teeth. 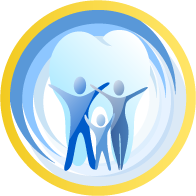 These days, however, advances in dentistry have made it possible for dentists to do so much more for people. At the Glenn Park DDS PLLC office, we still provide the normal preventive and general dentistry services, using the latest methods and treatments, of course. But we also provide custom cosmetic procedures for our patients, including such things as dental implants, Invisalign teeth-straightening treatment, and a variety of whitening procedures. Dr. Park makes sure that he and his staff are fully trained on all new procedures so that you will always get the best, most up-to-date care at our dental office. Whether you need a general examination, a cavity filled, a tooth extraction or you want your teeth straighter or wider, we have the skill and the experience to provide you with the highest quality treatment. We offer dental services for all ages, as well as emergency dental procedures and surgery. Tooth problems don’t always wait for normal office hours! We work with most major dental insurance plans, and offer 6-month no-interest financing for your convenience. We service Saratoga Springs and surrounding areas such as East Glenville and Schenectady. Call us today to schedule an appointment for a free consultation. When you want to feel confident that you are seeing an experienced, skilled dentist in Saratoga Springs, then you do not need to look any further than Glenn Park DDS PLLC. At our office, we put patient comfort and satisfaction first, and we provide an atmosphere that is calm and inviting. Call today to schedule an appointment, and let us help you create a beautiful smile. If you need to see a dentist in Saratoga Springs, Glenn Park DDS PLLC is an excellent choice. Dr. Park and his team have the experience and dedication to service that makes our clinic one of the most reputable in the Saratoga Springs area. We know that advances in dentistry are happening all the time - and we keep up with them; adding new, innovative treatments and procedures all the time. Call us today for more information. 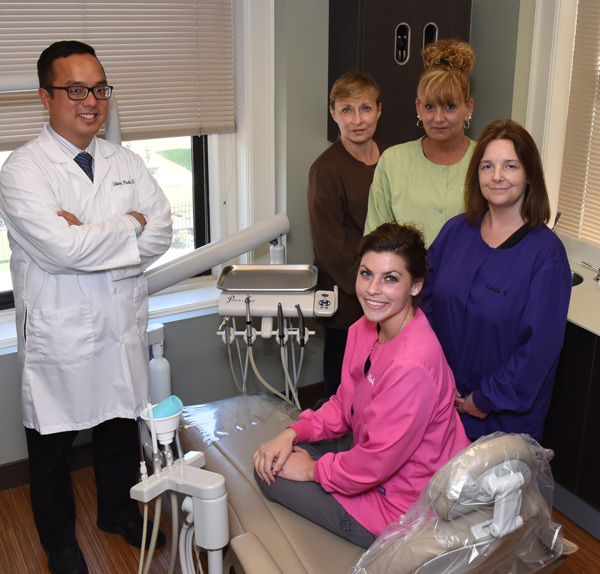 When it comes to cosmetic dentistry, Saratoga Springs residents can feel confident with the care and service that they will get at the office of Glenn Park DDS PLLC. There have been many exciting advances in cosmetic dental procedures; so many, in fact, that it has become a very specialized field in itself. At our clinic, Dr. Park and the staff are fully trained in all the newest, most innovative cosmetic dental procedures, and our patients reap the benefits of our training and experience. Call us today to schedule a free consultation. Having your teeth cleaned isn't just a necessity to fight bacteria, decay, and dental problems that begin to occur over time; it's an experience that will have you feeling like a new person. A thorough cleansing of your teeth takes your normal maintenance ritual to a whole new level, leaving you feeling refreshed and rejuvenated. It's one of the best things you can do, not only for your teeth, but for your physical and mental well-being. A thorough dental cleaning in Saratoga Springs begins with a visit to the office of Glenn Park DDS. Our team of highly trained, experienced dental professionals understand the importance of great dental health to a lifetime of happiness and general well-being, and we work with patients of all ages looking to keep teeth looking and feeling their very best. A member of both the American Dental Association and New York State Dental Association, we use the most up-to-date technologies to keep you smiling. At Glenn Park DDS, we are always at the forefront of the latest research in dentistry and use the most up-to-date methods and technology to help our patients achieve their desired smiles. In addition to general and restorative services, our staff is also trained to perform a wide variety of cosmetic procedures such as implants and teeth whitening. We are dedicated to providing the highest standard of quality in all dental procedures to ensure our patients complete satisfaction. Using state-of-the-art dental technology, we help patients improve their smiles every day, and we want to do the same for you.